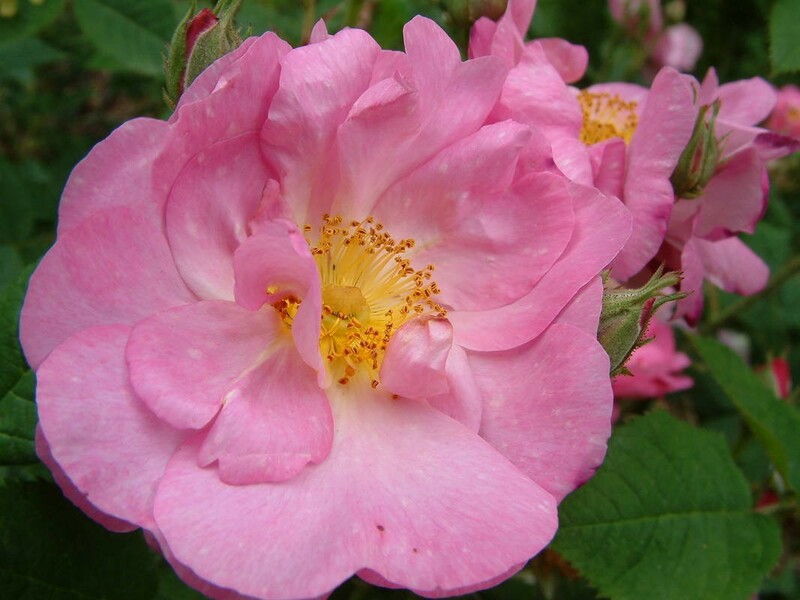 Rose pink semi-double flowers with pronounced golden stamens when fully open. Scented. 1950.